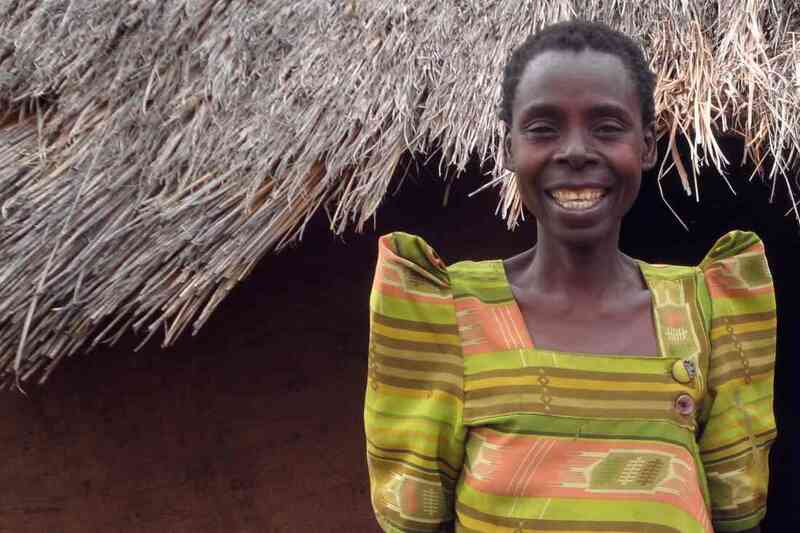 Rose was beloved—by every one of her fellow members of the Katonda Mbera group in Tororo, Uganda and by all of the Give Us Wings volunteers who have had the privilege of meeting her over the past 15 years. Her kindness, generosity and gentleness radiated from her as easily as her sweet smile. Courage came from a place deep inside Rose. She knew it’s a matter of survival. Her very serious heart condition meant that she had to carry on with her daily tasks with little breath, but she never complained. On any given day Rose, a single mother who cared for children and elders, could be found winnowing maize, milking her family’s cow, pounding nuts by hand, hauling water, and tending the garden. She did everything she possibly could do to take care of her family. One Give Us Wings co-founder, Mary Steiner, recalls a moment with Rose during a Katonda Mbera group meeting a few years ago. After each member was given a couple of sweet “biscuits”. Rose immediately called to the small group of children who had been sitting with other kids under a nearby tree. Each of the women gave one of their biscuits to the children, and the children went quietly back to sit under their tree. Rather than eat the entire biscuit, each child immediately began to break the biscuits into small pieces so that each child got at least a tiny morsel. Rose was not surprised at their generosity. “They are our children and we know we are all hungry”. Rose was so very grateful for the support Give Us Wings had shown her. She had eagerly participated in Give Us Wings-funded organic farming training, thus increasing the yields of healthy food in her garden that nourished her family. Give Us Wings had also helped her with hospital costs and gotten her to some better doctors who were able to lessen the impact of the heart condition. She was determined to keep learning and working. “Poverty was outshone by the intensity of this band of 12 women determined to build a sustainable life. Rose’s beautiful leadership helped build a community of generosity”. Rest in peace, Rose. Thank you for all that you taught us about taking care of eachother.